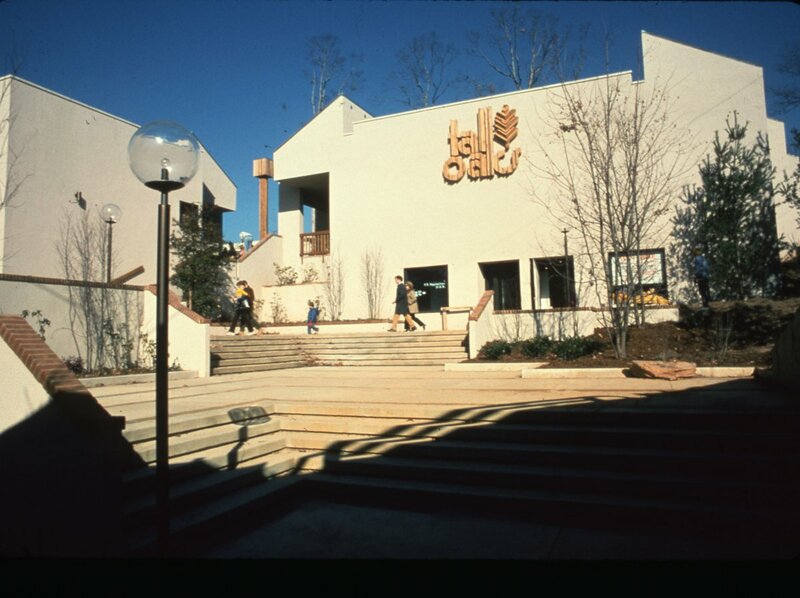 35 mm color slide showing the Tall Oaks Village Center. This image shows landscaping, buildings, and a courtyard with visitors walking nearby. 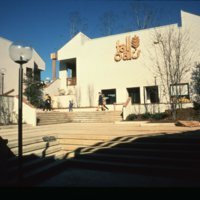 unknown, “Tall Oaks Village Center,” Reston@50, accessed April 18, 2019, http://reston50.gmu.edu/items/show/58.